It seems that the Corolla vs Civic war will never end, and how can it possibly end? The fan-boys of each side, though are missing everything good and are actually fans of cars which the world has called the most boring, did seem a bit undermined when the Civic came against the mighty Corolla. Regardless, as both companies are offering their best to the Pakistani market. The new Civic has seen the limelight of the Pakistani market a couple of months ago and the new Civic didn’t sell as well as the previous one did. Just a few weeks ago though, Toyota launched its best selling sedan into the Pakistani market and the response is already good if not great. I have personally experienced that people mostly prefer Corolla over any other car due to its and choose it even if its not their first choice. But the scenario of the Pakistani auto market has changed over the past few years, imported vehicles played a major part in that change despite the falling imports and the resale value of Civic has become better despite the price being ridiculously high. 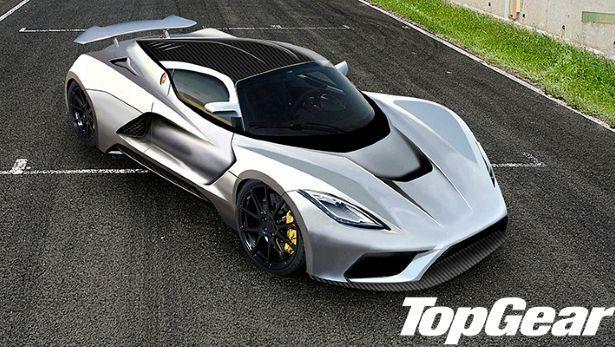 Now, on paper, we can compare the two vehicles and I have chosen top of the line models which are equipped with the best that companies have to offer. My sources to gather data on the cars were limited so I MUST have skipped few details on the cars, so help me compare the two cars, atleast on paper since we can’t get actual ones. Although the two cars are almost the same on paper but I am sure that they are miles apart from each other when it comes to driving experience. When the new Civic came out, I didn’t like it that much but after the launch of Corolla 2014, my vote goes to the Civic. Corolla 2014 looks real cheap with all those chrome plating here and there and I think the placement of the rear lamps is not balanced. Rear lamps are placed too high which doesn’t give a balanced look to the car. So personally, my pick would be the Civic here, what would be your choice? A car enthusiast plus Mechanical Engineer.Like to keep my ride in pristine condition and bllngy. So if look both aspects then corolla comes up in lead with better n great features which no other Pakistani car comes. We own both so have better idea. Secondly the pickup of corolla is far better than new civic. Poorly written article. 70% features of Corolla are missing in the article while Civic’s features are complete. I’m sure you are a Civic owner. thats NOT EVEN the CIVIC THAT IS ON PAKISTANI ROADS .. its the AMERICAN VERSION !!! I would prefer the corolla. Can you also give a comparison on aftersales costs of both these cars. Nope, I don’t own anything yet nor I hate Civic. So you can say the comment is coming from a neutral. Civic Prosmatec comes with 5-speed, New Corolla with 7-speed automatic; what is the difference? pros and cons? fuel efficiency? Pick? Experts’ opinions please. 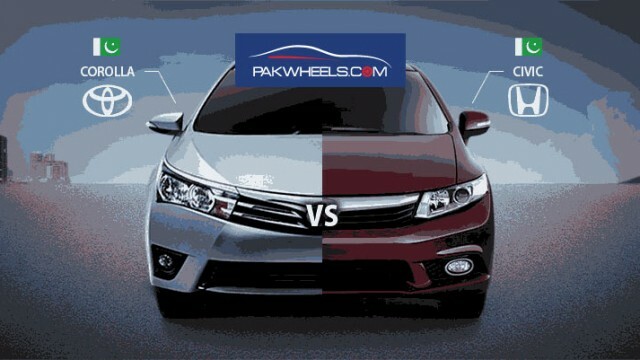 would u prefer a pakwheel member to buy civic 2014 or corolla ? i personally like civic by the way ! what u prefer as u owned both vehicles ? have admitted that their survival is very difficult in current market. coming model as Civic sale has been reduced against New Altis Grande. otherwise their slogan will definitely counter by their users. saw this altis front is too much down and increase u r ryt civic is expensive then altis bcoz civic has it’s own quality shape dash personality etc. well i am civic fan but wanna say that civic is compact and have a touch like racecar meanwhile corolla is like a luxurious car, both have their specs. according to their basic structure so may be in some features civic is better that rolla and vice versa.